Politically and PR-wise, the Mueller probe is over, even if/when the full report comes out. It's impossible to put this toothpaste — "Mueller finds no Trump-Russia conspiracy" — back in the tube. It was Attorney General William Barr who quoted special counsel Robert Mueller in a half sentence, saying: "[T]he investigation did not establish that members of the Trump Campaign conspired or coordinated with the Russian government in its election interference activities." And the definition of coordination, Barr further quoted Mueller, was an "agreement — tacit or express —between the Trump Campaign and the Russian government on election interference." But that specific definition excludes any coordination/conspiracy/communication with actors like WikiLeaks or Kremlin-connected lawyer Natalia Veselnitskaya. And it narrows the subject to election interference - not, say, sanctions. It also was Barr and Deputy Attorney General Rod Rosenstein — not Mueller — who concluded that the evidence wasn't sufficient to establish that Trump committed obstruction of justice. In fact, the half sentence that Barr quotes from Mueller reads: "while this report does not conclude that the President committed a crime, it also does not exonerate him." But Barr and Rosenstein determined that, because there wasn't evidence that Trump was involved "in an underlying crime related to Russian election interference," it would be difficult to prove beyond a reasonable doubt that Trump acted with "corrupt intent." 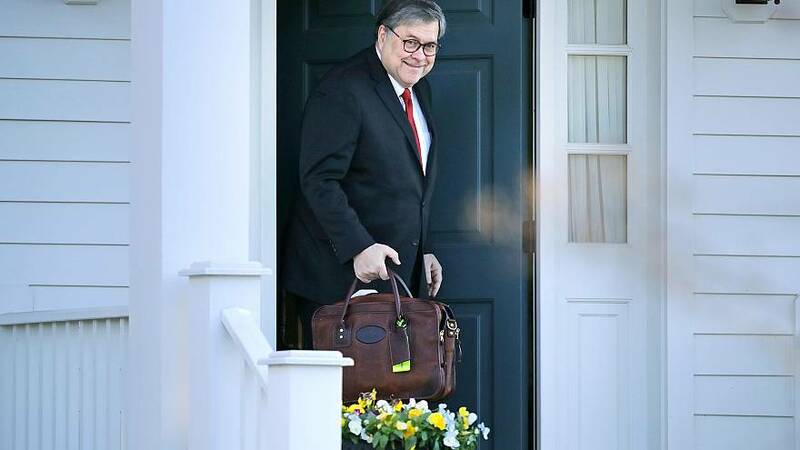 As attorney and former federal prosecutor Ken White writes in The Atlantic, Barr and Rosenstein made conclusions — in less than 48 hours after receiving Mueller's report — that reflect "startling and unseemly haste for such a historic matter." In the end, Barr pulled a Comey: He took a complicated matter out of everyone's hands, made the determination himself and, in the process, only raised more questions. Given all of President Trump's tweets yesterday and this morning on Barr's summary of the Mueller report - "No Collusion, No Obstruction, Complete and Total EXONERATION," he said — it's notable the president hasn't condemned Russia's interference in the 2016 election. Here's what Barr wrote: "The Special Counsel's investigation determined that there were two main Russian efforts to influence the 2016 election. The first involved attempts by a Russia organization … to conduct disinformation and social media operations in the United States designed to sow social discord…"
Of all the statements we received yesterday, it was Senate Majority Leader Mitch McConnell's that referred to Russia's interference campaign. "Russia's ongoing efforts to interfere with our democracy are dangerous and disturbing, and I welcome the Special Counsel's contributions to our efforts to understand better Russia's activities in this regard," McConnell said. "And I look forward to the continuing work of the Senate Select Committee on Intelligence on the threats posed to our democratic institutions by foreign interference." The other puzzle about the president's political vindication from Attorney General Barr is that it comes as the president continues NOT to tell the truth. "No Collusion, No Obstruction, Complete and Total EXONERATION," he tweeted. Except that's contradicted by Mueller himself. "[W]hile this report does not conclude that the President committed a crime, it also does not exonerate him," the special counsel said, per Barr. Throughout it all, the president and his associates weren't honest (at least originally) about that June 2016 Trump Tower meeting. They weren't honest about why Comey was fired. And the president wasn't being honest when he said he was totally exonerated. That's the share of registered voters who told pollsters last week that there was a "strong chance" that the Mueller report's findings would change their mind about the president, according to a Fox News poll. The largest chunk of voters — 41 percent — said there was "no chance at all" that anything in the report would change how they feel about Trump. We'll get to see soon whether or not the Mueller report's toplines move the needle of public opinion. But the safest bet at this point is probably that most voters will remain squarely where they were a week ago. Kirsten Gillibrand picked a bad day - yesterday - to deliver her big speech outside of Trump International Hotel in New York kicking off her campaign. "President Trump is tearing apart the moral fabric of this country," Gillibrand said in her speech. "He demonizes the vulnerable and he punches down. He puts his name in bold on every building. He does all of this because he wants us to believe he is strong. He is not. Our president is a coward." She added, "That's not what we deserve - not what you deserve. We deserve a president who is brave; a president who will walk through fire to do what is right." On the campaign trail today: Joe Biden, in New York, attends a "How Safe Are We?" event at the New York Public Library at 7:00 pm ET. Check out the pod from Friday, when we noted the importance of Super Tuesday in the Dem fight for the 2020 presidential nomination - but also the importance of Iowa and New Hampshire beforehand. The mood in the White House is "jubilant." Here's Neal Katyal on the "many problems with the Barr letter." NBC's Jonathan Allen writes on how the president will now make his reelection bid without fear that a special counsel investigation could take him down. There's no impeachment on the horizon, but Democrats will keep up their investigations of Trump. Bernie Sanders' Medicare for All legislation includes a pair of controversial legislative adds — on immigration and abortion. Kamala Harris's pitch: It's time to pass the baton. Beto O'Rourke is talking about learning the "responsibility that comes with using or owning a firearm."